Irkutsk is obliged to merchants a lot. Its role in cultural and scientific growth of the city and origin is difficult to overestimate. We are not going to idealize Irkutsk merchants - fabulous profits were made not only by legal ways. This is the way how a longstanding city head V.P.Sukachev, who belonged himself to this class wrote: "Dominating both in the Duma, and in the magistrate, rich and strong Irkutsk merchants in the late XVIII - early XIX were engaged in all public and urban problems, and solved them extremely in their own interests". But, having huge money, the Siberian merchants could allow themselves to allocate considerable sums on arrangement of life in the native city. Most of churches, Irkutsk was famous for, grammar schools, schools, hospitals, shelters, libraries, shops, most beautiful buildings were constructed and kept by merchants. Their personal libraries surprised metropolitan library amateurs . So the phrase "Irkutsk is merchants city" has quite actual sense. The city was inhabited, mainly, by the merchants, and was ruled by, basically, representatives of the middle class. The first City Duma head was Irkutsk merchant Michael Vasilyevich Sibiryakov (1744-1814). More than forty years Irkutsk citizens elected him on the post of civil manager, verbal judge, mayor, president of the regional magistrate and the city head. For the special merits in a public service he was awarded with a rank "honored Irkutsk citizen". M.V.Sibiryakov owned river and sea ships, going on the Angara, Yenisei and Baikal. His fish catch on Baikal expanded from an Ambassadorial monastery to modern Sludyanka. He kept the Telma cloth manufacture, then linen one in Irkutsk. Sibiryakov used an exclusive right of delivery of vitally necessary goods: bread, salt, meat, state lead from the Nerchinskii district to the Voskresensko-Koluvanskie mountain factories of the Altai. Afterwards many representatives of Irkutsk merchants combined commercial activity with a public one. In 1817-1825 the son of Michael Vasilievich Sibiryakov – Xenofont (1772-1825) headed the City Duma. According to chroniclers he was noted for his intellect, strong-willed character. 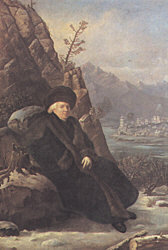 Xenofont Mikhailovich had river and sea ships, delivered state lead from Nerchinsk to the Altai, salt, wine, food and other goods to the Zabaikalie area. He traded in Irkutsk merchant guest yard, in Kyakhta, at Siberian and Russian fairs. 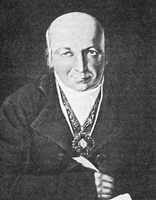 In Xenofont Mikhailovich’s family the yard people lived and among them a karakalpak was bought at the Irbitskoi fair, called as Alexander Xenofontovich Sibiryakov (1794-1868). A contemporary recollected Ksenofont: " He could not restrain his impressions in any way, instantly took a great interest and in gusty self-possession performed court and punishment with “chubuk” or a fist. He used to sit on a coach, and tell coachman where to go, when the coachman arrived, the passenger was not present: Having noticed during his travel any disorder, Sibiryakov instantly went off the coach, ran into the house or shop and punished the guilty. With such a man people behaved silently... ". Many things are connected with the family of Sibiryakov: construction of the most beautiful palace in the city - the White House, which later became the residence of the generals – governors; a portrait of Gavriil Derzavin in the sable fur coat, presented him by Sibiryakov, made by an Italian artist Tonchi’ brush, a legendary ice breaker called "Sibiraykov", which started the Great northern way on the Arctic ocean. The Sibiryakovs from generation to generation were writing the chronicles of Irkutsk. Kuznezov Efimii Andreevich (1783-1850) – an honorable citizen, Irkutsk merchant of the first guild, state councilor, cavalier of such awards as St. Anna of the 3d degree and St. Vladimir of the 3d degree, distinguished goldmanufacture, millionaire. He was the city head from 1826 to 1829. E.A.Kuznezov was noted for his wide charity, he donated more than 5 millions rubles on various needs of the city. On his funds civil hospital – 135000 r., the Maiden institute – 100000 r., School for the maidens of a spiritual rank – 150000 r. were constructed. About 3 millions rubles were donated by him on the development of the Amur river, 750000 rubles on needs of civil and spiritual departments. 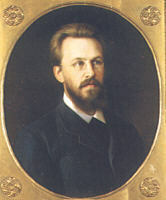 E.F.Kuznezov was registered as a active member of the Kafedralnyi cathedral. In 1849 he made the will, according to which 250000 r. were endowed on the construction of a new Kafedralnyi cathedral in Irkutsk. Trapeznikov Konstantin Petrovich - merchant, honorable citizen who was the head of Irkutsk society. He was a pioneer on the development of golden deposits in the Olekminskii district and he created new conditions for conducting gold-mining business, what brought a lot of benefits to the state, as well as to the industry and trade. In 1865 he opened a trade of iron and its products. He donated the capital in 19636 r. to establish Siropitatelinoi-craft school. Medvednikov Ivan Logginovich (1807-1889 ) - Irkutsk merchant of the1-st guild, commerce adviser, honorable citizen of city, patron of the arts. According to the will and in memory of the mother Elizavet Mihailovna Medvednokova together with the brother Loggin Logginovich he opened the Siropitatelnii house in Irkutsk in 1838. It was destined for education of the girls from poor categories of population and orphans. Foster children were kept there until 16 years old, they were trained to the letter, needlework and home facilities. It existed at the expense of the incomes of the bank, founded at it. Having put a beginning to the school training of the girls in Irkutsk and in general in Eastern Siberia, the Siropitatelnii house of Elizabeth Medvednikova took an outstanding place in history of regional education. Basnin Vasilii Nokolaevich (1798-1876) - Irkutsk merchant of the 1-st guild, hereditary honorable citizen of city. He was born in a family of rich Kyakhta merchant. Up to his 12-year's age he studied in a school, then he was engaged in commerce. Continuing business of the father, he concentrated all commercial interests on the Kyahtinskoi trade with China. Change of market condition and trade conditions resulted in a gradual ruin of the firm in the 1840s. After the death of the father in 1840 Vasillii Nikolaevich got 300000 r. of the inheritance, the firm of Basninyh stopped its trade in Kyahta and Nizhni Novgorod, and he moved to Irkutsk. He possessed gold mines in the Leno-Vitimskii and in Olekminskii mountain districts. He was one of the advanced people of the time, distinguished by stability of his belief, honesty, respect of science (valid member of Russian Geographical society) and art, possessing a refined taste. In the 1840s in Irkutsk nobody had such complete collection of books of Russian and foreign writers, literature and history books, as Vasilii Nikolaevich had. He had an extensive collection of engravings of the1-st half of the XIX century. He took a great interest not only in painting, music, theatre, but also in gardening. A garden cultivated by his father, he transformed into an exemplary gardening. In greenhouses apples, pear, plums, peaches, oranges, grapes grew. He collected rare plants of the world, which he wrote out from China, Japan, Australia. Basnin was a director and honorable member of the Siropitatelnii house of Elizabeth Medvednikova, which maintenance he supported financially. Being the city head, he was known for his validity, especially on business of trusteeship and therefore he was not convenient to many. In 1856 he moved to Moscow. He gave the garden and greenhouse to a researcher I.S.Selskii; a part of the library was presented to the Irkutsk spiritual seminary. In Moscow he was known as one of the organizers and active members of the Aid Society to the Siberian schoolchildren. Demidov Dmitrii Dmitrievich (? -1888) – the city head in 1877-1885 - one of famous merchants of Irkutsk in the 70s of the ХIХ. He had gold mines, was engaged in wine trade. He left after himself the capital in 17 millions rubles, 100000 rubles were bequeathed on distribution to poor citizens. During his management the greatest number of schools in Irkutsk was open. For rendering assistance in delivery to their home of lost members of the American polar expedition of Delong (1882) D.D.Demidov received a gratitude from the USA government. 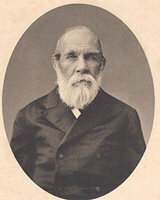 Invaluable role in development of the city was played by Vladimir Platonovich Sukachev (1849-1920) – a large public figure of Siberia, organizer of the picture gallery, patron of the arts. During his stay in the post of the city head Irkutsk was significantly furnished. Through the Angara river a constant pontoon-bridge was constructed, some hospitals and a new building of the Duma were constructed, a number of schools was opened, financed by Sukachev. According to his initiative the competition of the best project of a building of the city theatre was announced, and he was one of first who contributed 10200 rubles on its construction. Despite the large charge, he combined the duties of the city head with a post of the chairman of the Eastern-Siberian department of Russian geographical society (ESRGS). Sukachev participated in financing the expedition of G.N.Potanin to China, Tibet and Mongolia; besides he organized active publishing activities of ESRGS, contributing his personal funds for the publication of the scientific work about Eastern Siberia. In 1882 in his manor on the Kukuevskoi mountain Vladimir Platonovich placed the picture gallery, and in 1883 a free-of-charge 4-class school for the girls was open here. Thus, the Sukachev’s manor became the center of aesthetic children education. The concerts of school chorus, the Christmas and Easter feasts, colorful New Year concerts, mass city amusements were arranged here; Sukachev distributed gifts to children. At the end of 1898 Sukachev with family moved to St. Petersburg, but in the capital he didn’t forget his native city. On his own funds he published a book "The First century of Irkutsk ", open letters with sites of Irkutsk and the lake Baikal. From 1905 to 1914 his magazine "Siberian questions" was published. The money from publishing activities were destined to the benefit of the Aid Society to the Siberian trainees in St.-Petersburg. The picture gallery was handed by V.P. Sukachev to the city. In the Soviet years on its base the Irkutsk regional art museum was opened. Irkutsk merchant G.I.Shelihov, whom Derzavin called "Russian Columb", and А.А.Baranov were in the late XVIII century first-pioneers and founders of Russian America who dominated over Alaska and the Aleutian islands not only commercially, but also politically. The expeditions of the Irkutsk general - governor duke Muraviev in the 1850s, which resulted in the joining of the Amur area to Russia, was financed basically by local gold-manufactures. Numerous in the past scientific expeditions to the Far North and East, to Mongolia, China and Japan would not be managed without help of the Irkutsk richmen - from here, from Irkutsk, where since 1851 the Siberian (then Eastern-Siberian) department of a Geographical society, actively worked. It was the city where all research of extensive and poorly studied eastern areas was directed and organized. The Irkutsk merchants, were constant enemies of governmental bureaucracy, they were aquatinted both with Decembrists, and with the Polish exiled, they were their true friends and gave them their children to be taught, considering it to be an honor for themselves. Many of them were people widely and versatile educated, they wrote out from Moscow and St. Petersburg the best magazines and books not only for themselves, but also for public libraries. With all their heart the merchants loved the native city and served it truly.